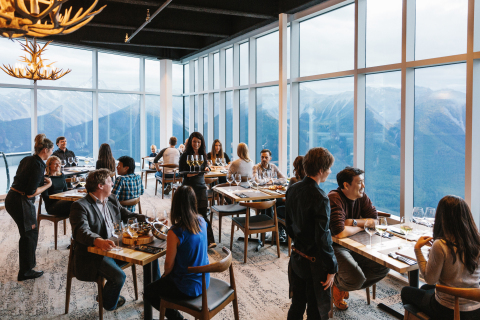 BANFF, Alberta--(BUSINESS WIRE)--Brewster Travel Canada announced today that the Banff Gondola refresh project has been honoured with two Top Project Awards from Alberta Construction Magazine. The Banff Gondola’s winning categories include the People’s Choice Award and the Commercial Award (Under $50 Million). 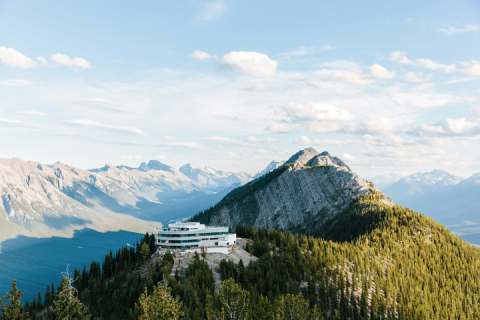 The $26 million refresh project, located at the top of Sulphur Mountain in Banff National Park, took several years of planning and approximately 13 months of construction to complete. Brewster Travel Canada partnered with PCL Construction Management Inc., DIALOG, Entuitive, Mulvey + Banani International (Alberta) Inc., and GES for the refresh project. The new facility was built on the existing structure, allowing for the environmental footprint to remain unchanged. 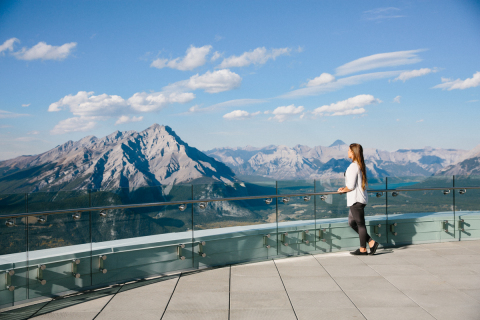 The facility at the top of Sulphur Mountain had not seen an extensive renovation since the late 1980s, and has been retrofitted with energy-efficient technologies and now boasts a state-of-the-art interpretive floor, all-new food and beverage offerings, a roof-top observation deck and theatre. Brewster Travel Canada officially cut the ribbon to this state-of-the-art facility in October 2016. This adds to the collection of accolades that Brewster Travel Canada has received from Alberta Construction Magazine for project excellence. In 2013, the newly built Glacier Skywalk won the Commercial Award (Under $50 Million), the Top Design Award, and received the first ever People’s Choice Award, chosen entirely by voters. Alberta Construction Magazine’s Top Projects Awards is an annual feature that recognizes and celebrates construction excellence in Alberta. Winners are revealed in the winter issue of Alberta Construction Magazine. Brewster Travel Canada (Brewster) has been delivering premium Canadian travel experiences to the global market by connecting travelers to the world's most spectacular natural locations. With expertise in attractions, hospitality, and transportation, Brewster has set the standard of excellence for authentic travel experiences in Canada and the Rocky Mountains with a history that dates back over one hundred years. Brewster is part of the Viad Corp (NYSE:VVI) Travel & Recreation Group, which also includes Glacier Park, Inc. and the Alaska Collection. For more information about Viad, visit www.viad.com. For more information about Brewster, please visit www.brewster.ca.